Funding for Health Informatics: One Researchers Journey Down the Breaded Path of Funded Research Thomas A. Horan, Ph.D. Claremont Graduate University August. 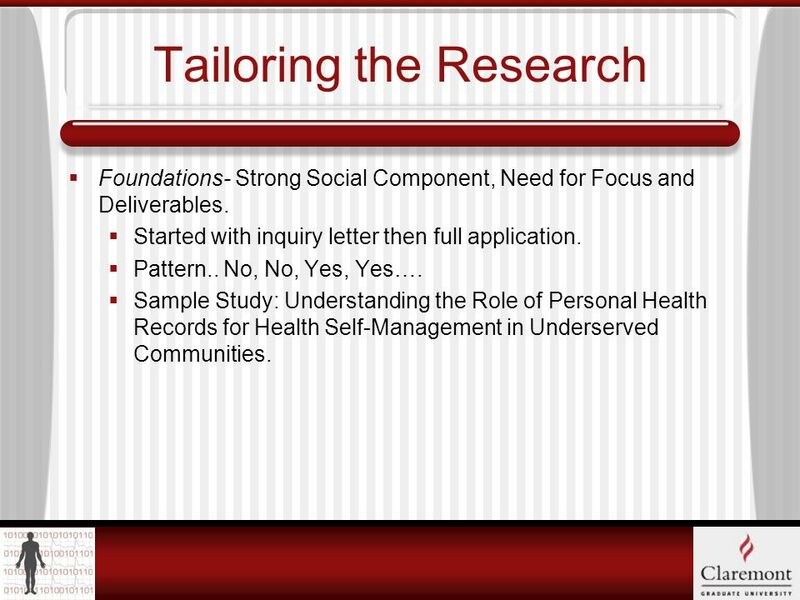 5 Tailoring the Research Foundations- Strong Social Component, Need for Focus and Deliverables. Started with inquiry letter then full application. Pattern.. No, No, Yes, Yes…. Sample Study: Understanding the Role of Personal Health Records for Health Self-Management in Underserved Communities. 6 Tailoring the Research Govt Agencies- Need Access Through Procurement Mechanisms. Often Mission Driven Research, High Overhead Adventure. 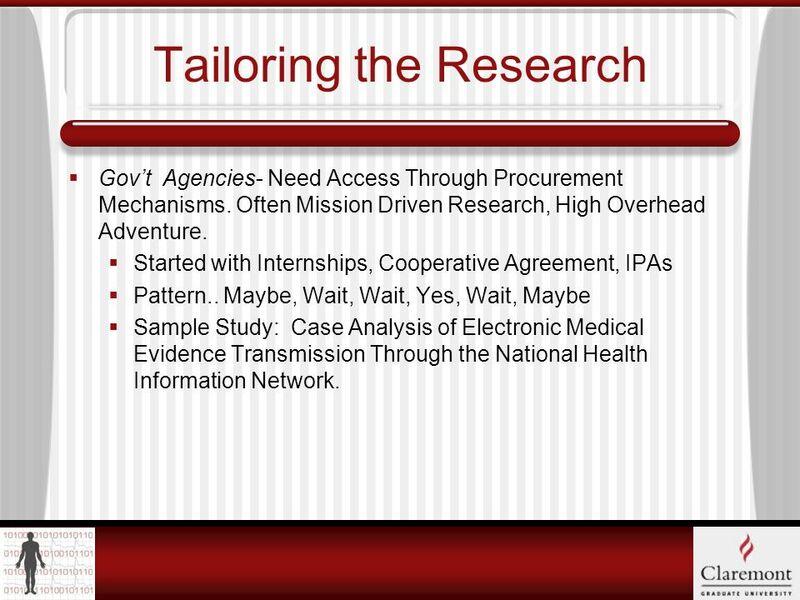 Started with Internships, Cooperative Agreement, IPAs Pattern.. Maybe, Wait, Wait, Yes, Wait, Maybe Sample Study: Case Analysis of Electronic Medical Evidence Transmission Through the National Health Information Network. 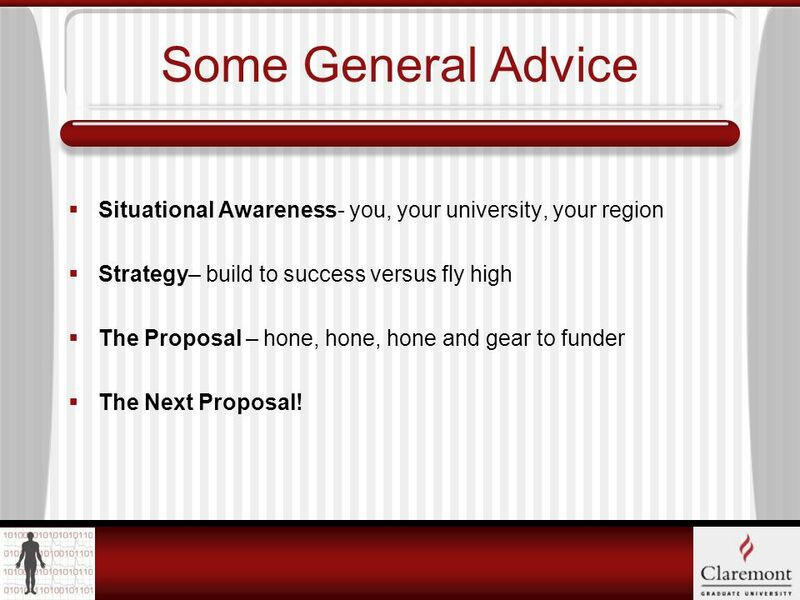 8 Some General Advice Situational Awareness- you, your university, your region Strategy– build to success versus fly high The Proposal – hone, hone, hone and gear to funder The Next Proposal! 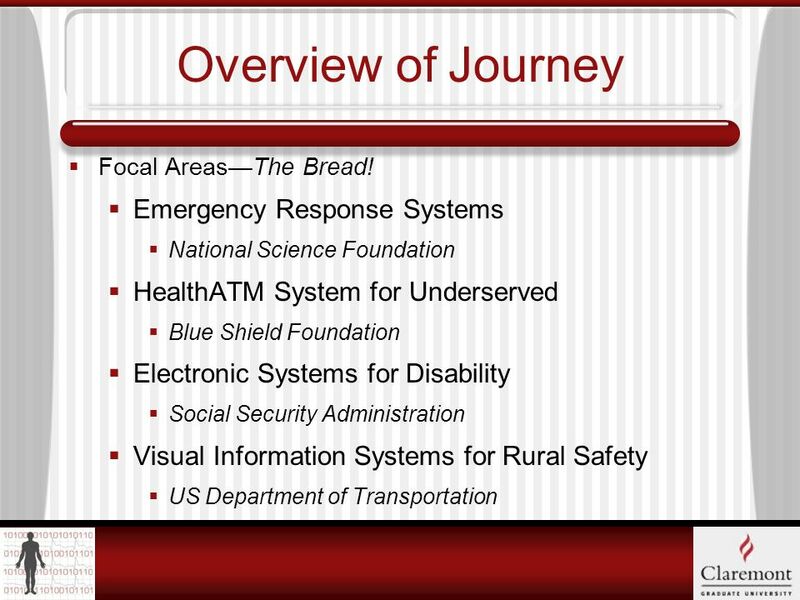 Download ppt "Funding for Health Informatics: One Researchers Journey Down the Breaded Path of Funded Research Thomas A. Horan, Ph.D. Claremont Graduate University August." If you are a…With a GPA of… Interested in funding for… Consider applying for… (*University nomination required) 1 st year student 3.2+ International/Language. KATE FLEWELLING, MLIS OUTREACH COORDINATOR, NATIONAL NETWORK OF LIBRARIES OF MEDICINE, MIDDLE ATLANTIC REGION Bridges Cost Money: Finding Grant Opportunities. Funding Leisure Programs. Overview Determine the Need Seek Funding Sources Know Your Options What Works? What Are the Benefits? What to Ask For? Resources. Why Community Technology Matters Community Informatics and The Effective Use of ICTs 08/12/03 Michael Gurstein, Ph.D. Visiting Professor: School of Management. Safety-net Enhancement InitiativeOctober 27, 2009 SNE I Tuesday 10/27/09, 3pm EDT P-r??? Information Session Safety-net Enhancement Initiative. 1 Aging Services Technologies: Policy and Provider Landscape David Lindeman, PhD Assembly Committee on Aging and Long-Term Care Senate Subcommittee on. The Nebraska Model of Rural Development: Partnerships and Leveraging Presented by John C. Allen, Director Center for Applied Rural Innovation University. Community Health Centers Implementing EHRs: Lessons Learned Oliver Droppers, M.P.H., Sherril Gelmon, Dr.P.H., Siobhan Maty, Ph.D., and Vickie Gates Portland. Finding & Securing Funding: Sustaining Your Success OACHE Winter Retreat Dr. Pollyanne S. Frantz Development Consultant Appalachian Higher Education. 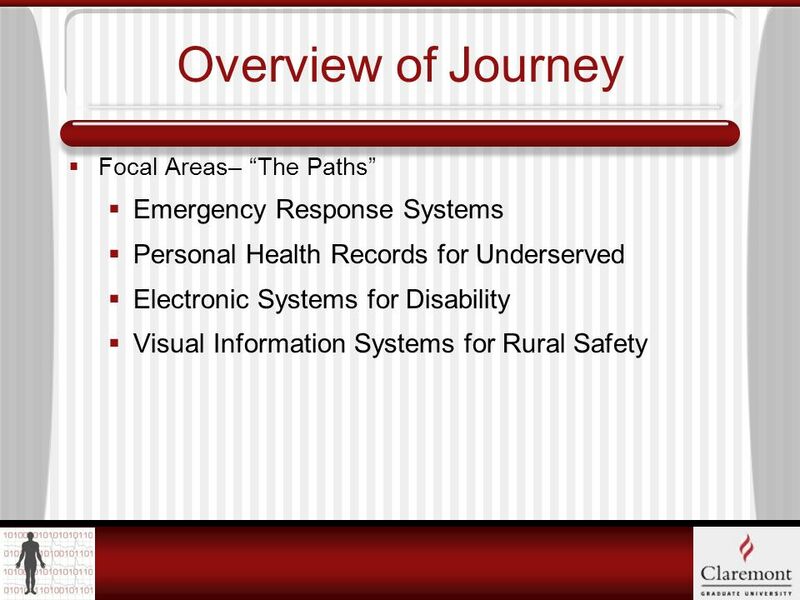 Mark Lyles, MD Chief Strategic Officer Medical University of South Carolina September 25, 2014 South Carolina Telehealth Alliance. Big Lottery Fund Hackney CVS Grants Workshop 27/08/2014. The IGERT Program Preliminary Proposals June 2008 Carol Van Hartesveldt IGERT Program Director IGERT Program Director. Does corporate philanthropy matter to employees? Troy Beaver Master of Business Communication University of St. Thomas December 16, 2004.